For sale - Complete and ready to be shipped worldwide.. 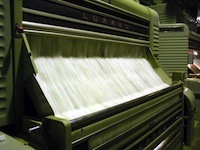 Complete Lummus Gin plant with capacity to gin 25 bales per hour. Copyright © 2014 T B Gin All Rights Reserved.